An Amazon brand - Bring the ultimate feel of calm and relaxation into your home with this black and white aerial photo. A woman floats in clear, beautiful water in a coastal paradise. It arrives in a neutral silver-tone frame perfect for any modern style room. Bring the ultimate feel of calm and relaxation into your home with this black and white aerial photo. A woman floats in clear, beautiful water in a coastal paradise. 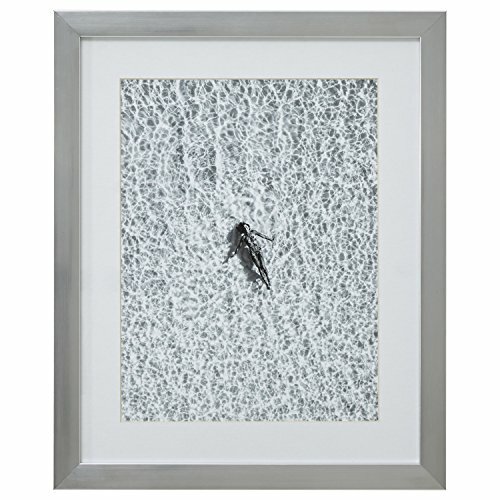 It arrives in a neutral silver-tone frame perfect for any modern style room.